Saint-Jean-de-Braye is a popular commune in Loiret. 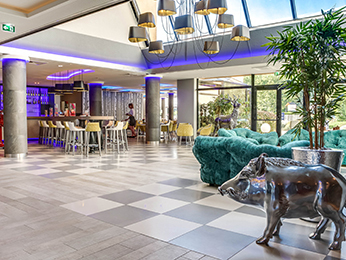 Choose from our Novotel and hotelF1 hotels in Saint-Jean-de-Braye at a price to suit you! Saint-Jean-de-Braye is easily accessible by road and within easy reach of Orléans. Booking a hotel in Saint Jean De Braye couldn't be easier. Simply browse our selection of hotels below and choose one that best suits your needs. Booking online with AccorHotels offers a host of benefits, including our Best Price Guarantee and last minute and real-time room availability.